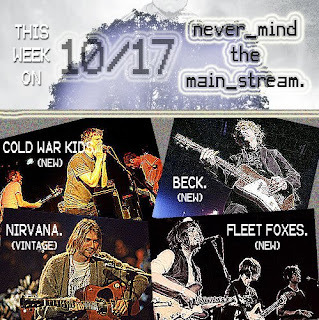 Never Mind The Mainstream on KUR (College Rock Radio): The Big 6 is on Tonight! The Big 6 is on Tonight! So that's for you. And just for you. We're going to see Cold War Kids in Philadelphia. And yes, we're going to chant along in the soulful, bluesy, WTF-ness that is CWK. Next week: We're back! Live! P.S. We got show reviews coming up soon, too! (We're journalists).